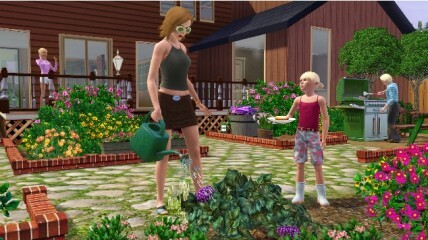 Current – The Sims 3: Real life getting you down? Is there a huge science project due? Don’t have enough to pay the mortgage? Did you get stood up at the mall? Or did you decide to take a swim but somehow every single ladder was removed from the pool so you were stuck in the water until your skin pruned? Welcome to The Sims 3, where you can escape real life by downloading a game about real life… only you control absolutely everything. Customize your character and live life to the fullest. Or, completely screw it up — the choice is yours.